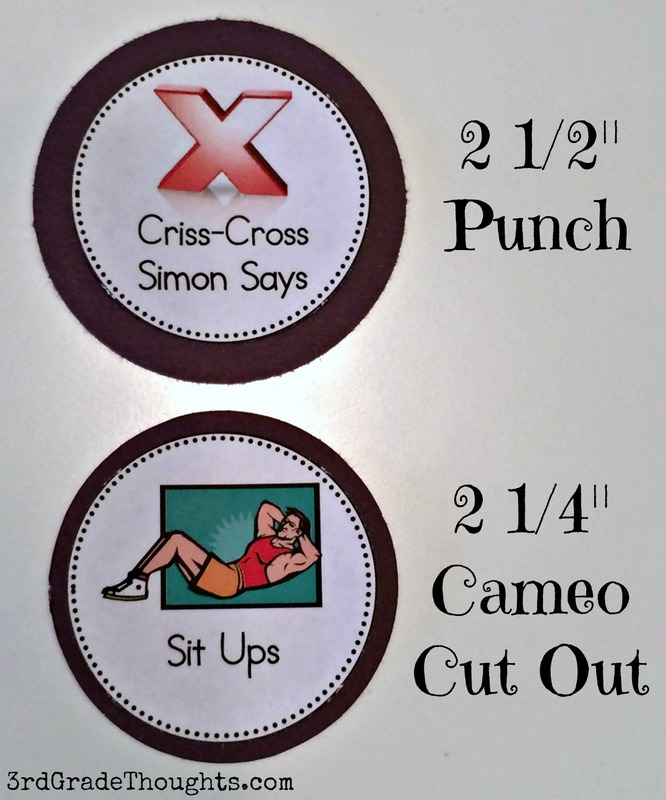 Assembling Brain Breaks the Fast & Easy Way! 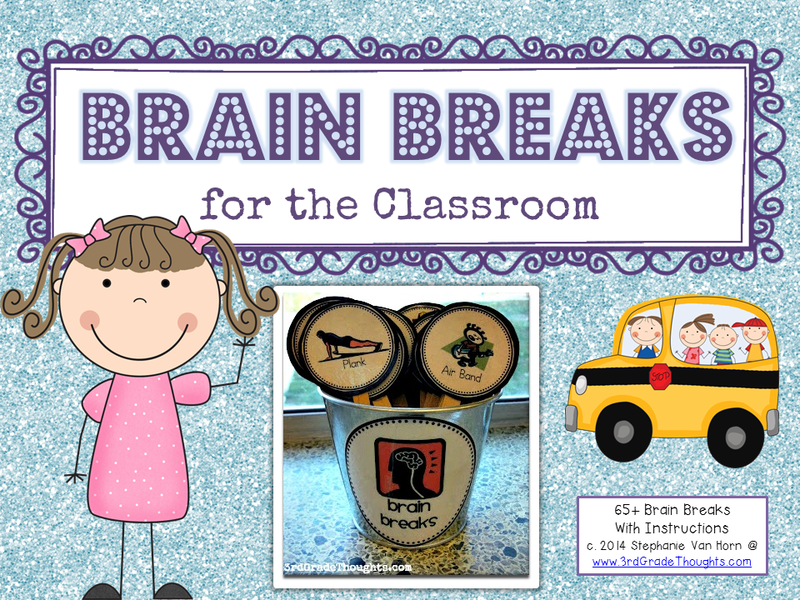 If you've purchased my best-selling Brain Breaks for the Classroom (or any of its holiday variations), you'll know that before you can use them, there is some assembly required. Good news? Once assembled, they last for years and years. Bad news? If you don't have the right tools, assembly can be the worst part of your day.... which is no way to spend your time!! 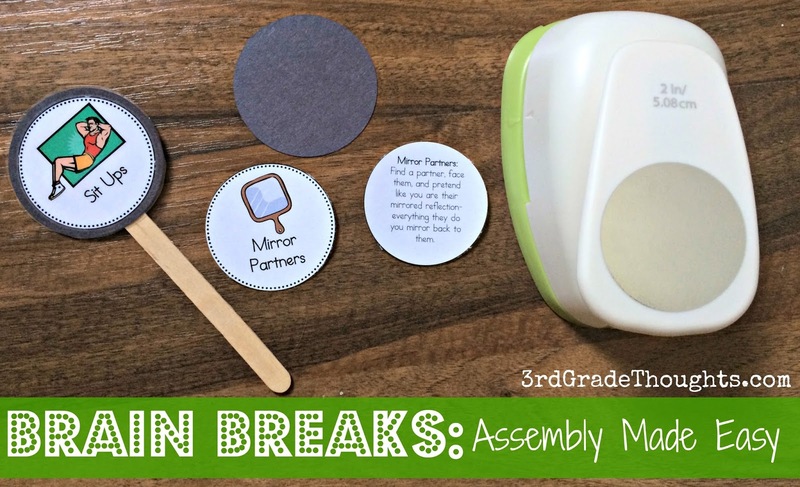 I wanted to share some simple ways to make Brain Breaks assembly as quick and painless as possible! I found my punches at Michaels and they are wonderful. High-quality and small enough that they don't take up too much room. 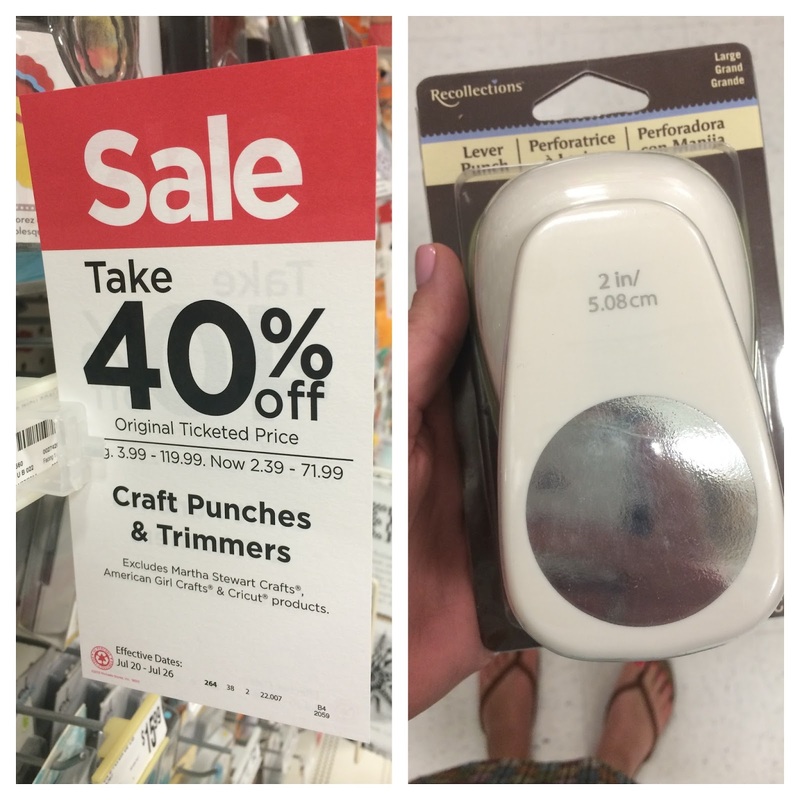 They are currently on sale for 40% off, but they often run coupons in their app and in Sunday papers for 40% off an item, so keep your eyes peeled for those. When you print the Brain Breaks, be sure you are choosing "Actual Size" on your print options (highlighted above). Sometimes my printer defaults to "Fit" or other options, but that will skew the measurements, which you don't want. After they print, get to punching! You can use a paper cutter or scissors to cut out the strips of Brain Breaks. I then will flip the punch over to make sure I don't chop off any part of the disc. Punch out the circles one at a time so it doesn't jam and so you can ensure each one is cut correctly. Now it's time to cut the construction paper disc that will fit in between the title disc and description disc to make it more sturdy. You can choose to skip this part, but I like the look of it. Plus, I will choose different colors for different sets. Some of you have done different colors for different types of breaks (energizing, calming, partner, etc. ), and I like to do different colors for the different holiday versions so I can quickly add and remove them from the bucket throughout the year. If you have a Silhouette and would like the Studio file, download it from Google Docs HERE. If you have another cutting machine, just create a whole bunch of 2 1/4" circles and watch it do the work! Now it's time to laminate. I always use a bit of double-sided tape to connect the title disc to the construction paper. The description I laminate on its own. 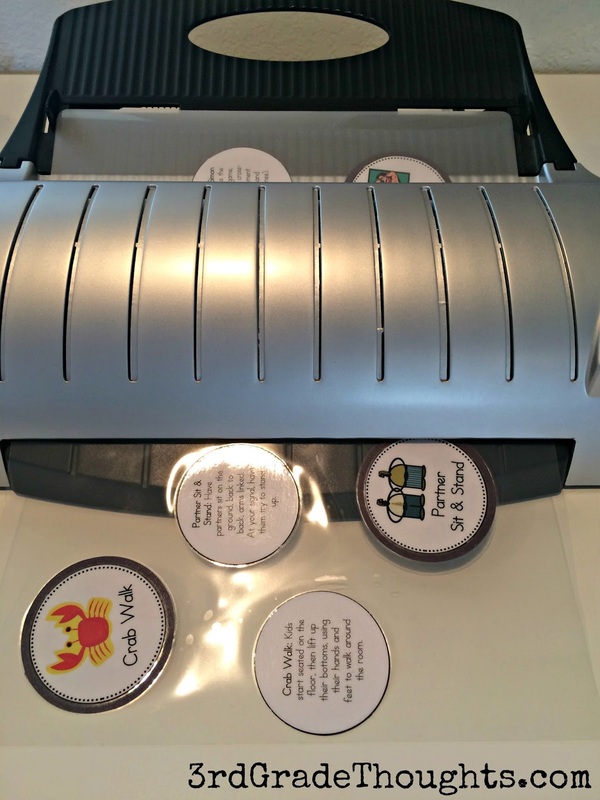 I bought a Scotch thermal laminator from Walmart several years back and it's awesome! Sheets can be expensive, but Sam's has great deals and occasionally Amazon will, too. Quick Tip: If you use sheets like I do, spread out the construction paper discs so they aren't too close. Otherwise, the lamination might not "stick" as well. After they are all cut out, fire up your glue gun and get your popsicle sticks ready. 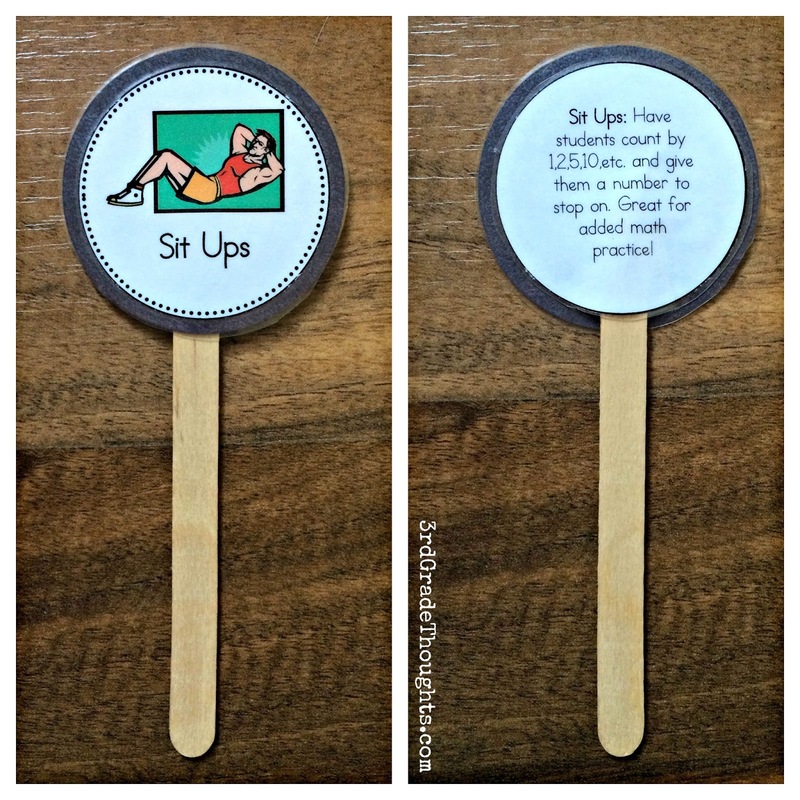 Some of you use different color and/or different sizes of popsicle sticks to indicate the type of Brain Break, which is genius!! I always glue the title circle down first. Then, I'll put a *lot* of glue on the back of the description because I want it to stick all year long. So far, my original set is still going strong three years later! 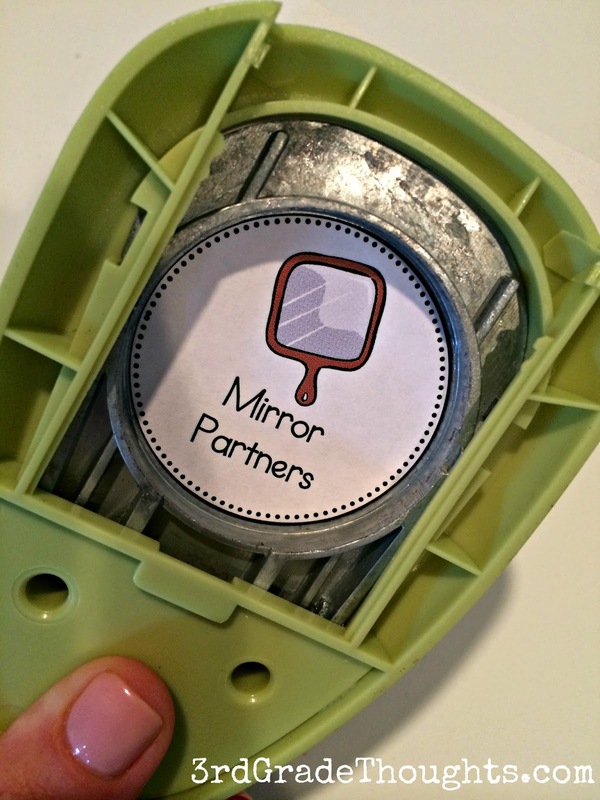 Squeeze tightly together, then set it into your Brain Breaks bucket and keep gluing. 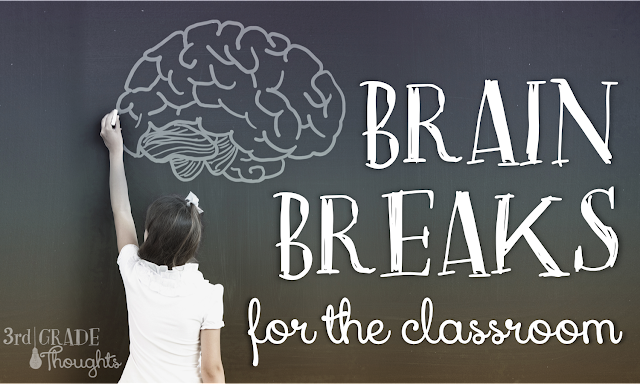 At the end, you will have an absolutely beautiful collection of perfectly-cut Brain Breaks for you and your students to enjoy for many years to come! 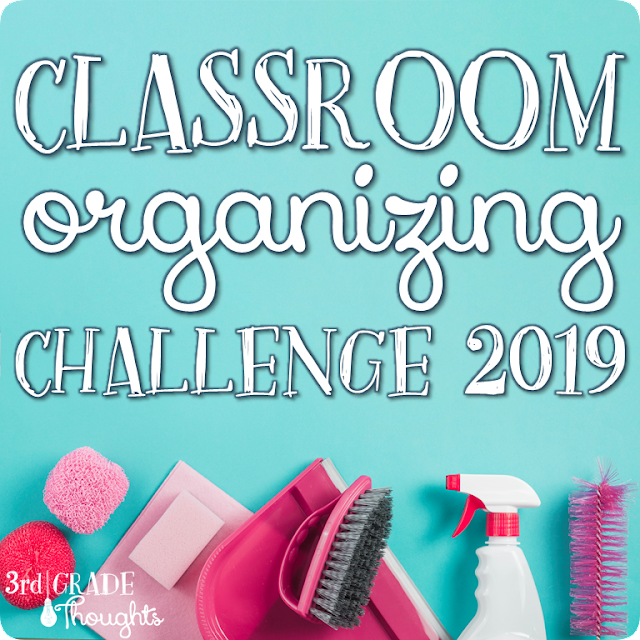 I hope this was helpful in getting your Brain Breaks set up for the upcoming school year! Remember to redownload them if you have previously purchased them to get the most precise 2" size. 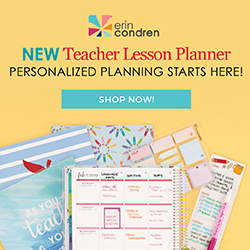 To see all of my Brain Breaks, click HERE to head to my TpT Store. Ha! Well, I did this the old-fashioned way last summer! I'm so excited to see the updated descriptions, though, and I'll have to add those to my sticks to eliminate the "looking it up" time on the reference sheet when I can't remember how to do a break. 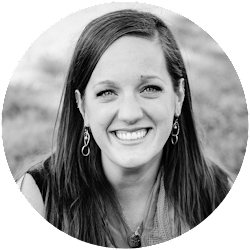 Your blog was a Godsend and an inspiration last summer. I am SO glad you'll be back in the classroom this year! I'm moving from second down to Kindergarten, but I'll still be a dedicated follower, no worries! I'm starting my own blog this summer, if you'd like to check it out. Thanks for all that you do! Would the 2.5 hole punch cut the lamination? Thanks for these! I just bought this and I'm excited to use it in my classroom. Love your ideas!! Love all of your tips!